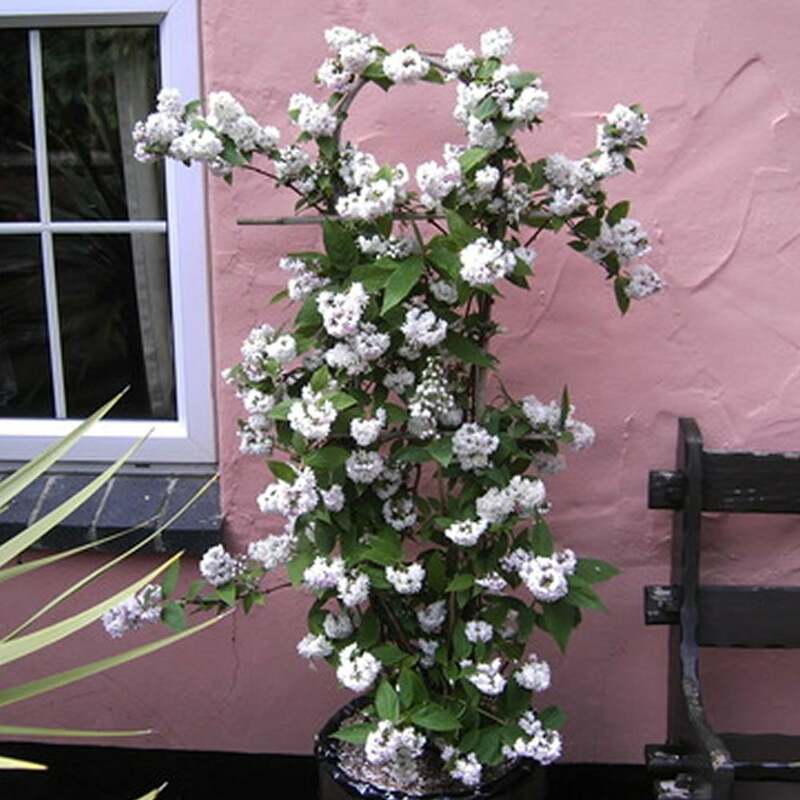 Characteristics: A hardy shrub with beautiful clusters of pink flowers. Growth & Spread: A fast grower, it can reach heights between 0.75 to 1.5 m and a spread of 1.0 to 1.25 m.
The “Mont Rose” is a full hardy shrub which blooms bundles of flowers at the end of its branches. The flowers are five-petalled beauties with contrasting yellow anthers in the middle. The beautiful lavender-pink blooms attract a number of pollinators, including bees and butterflies. The leaves are an elongated-blade shape that vary in shades of light greens. It can be trained and trellised in order to use as a more vertical plant to decorate wall or fence areas. It does best in fertile and well-draining soils and prefers sun and partially shaded areas. However, it should be noted that more exposure to sun will result in deeper colourations of the flowers. After flowering, older stems should be pruned to the base, removing about every one of three of these older branches. In addition to being a hardy variety that survives harsh winter conditions, it also is drought-resistant. It makes a nice addition to rock gardens or other areas where you have drought tolerant plants. And as it is a more compact shrub, it works well in urban gardens and landscaping.